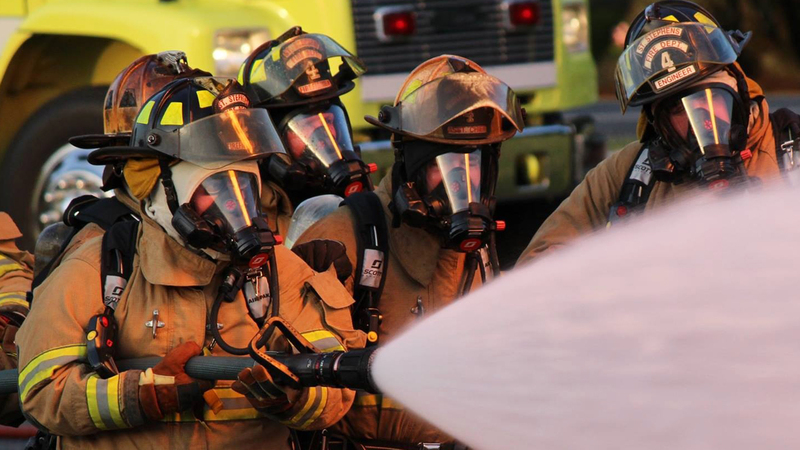 CUMBERLAND COUNTY – The Stoney Point Volunteer Fire Department (SPVFD) has received Accredited Agency status with the Commission of Fire Accreditation International (CFAI) for meeting the criteria established through the CFAI’s self-assessment and accreditation program. The SPVFD is the first volunteer department in North Carolina and only the second volunteer fire organization to achieve accredited agency status in the nation. Of more than 30,000 rated fire departments in the United States, there are only 150 who have earned Internationally Accredited status with the CFAI and the Center for Public Safety Excellence, Inc.
CFAI is dedicated to assisting the fire and emergency services agencies throughout the world in achieving excellence through self-assessment and accreditation in order to provide continuous quality improvement and enhancement of service delivery to their communities. The CFAI process provides an agency with an improvement model to assess their service delivery and performance internally and then works with a team of peers from other agencies to evaluate their completed assessment. 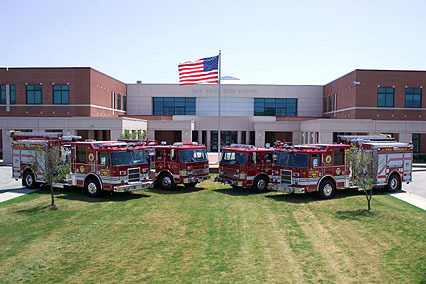 As part of the process the SPVFD satisfied more than 250 individual performance indicators assessing administration and governance, planning, goal setting and achievement, financial management and administration, direct program delivery, physical resources, human resources, training and competency, essential resources, and external systems relationships. This means that the SPVFD is following fire service industry best practices and good stewards of their community’s tax dollars. Chief Johnson Sr. also stated, “This is a major achievement not only for the SPVFD but also for the entire system, whereas system wide fundamental improvements have been implemented as a result of the SPVFD accreditation process benefitting all county citizens”, and the proactive CFAI process is a fluid process that is on-going and will ultimately continue to improve the quality of services county-wide. With over 1,200 Fire Departments in North Carolina the SPVFD is the twelfth department accredited behind, Asheville, Cary, Charlotte, Durham, Fayetteville, Gastonia, Greensboro, Jacksonville, Mooresville, Rocky Mount, and Wilson Fire Departments, all of which are career departments.